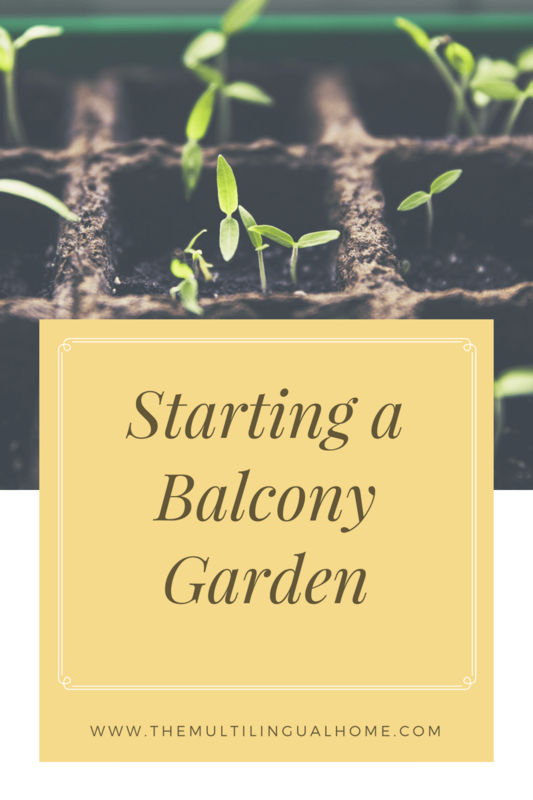 This year, I decided that we were going to start a balcony garden and we were going to plant our seeds early. 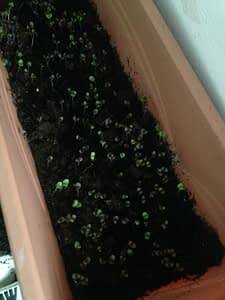 But it wasn’t until a few weeks ago that we actually planted the seeds and they are currently growing in our homeschool room waiting to be transplanted. 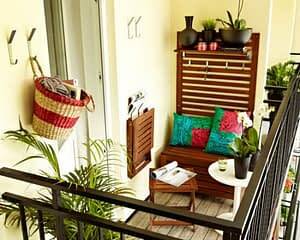 Our balcony is rather skinny and long and I was looking for ideas on how to make garden friendly and a nice place to sit and relax. 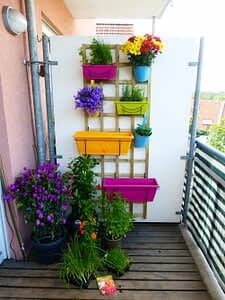 Last week, we spring cleaned the balcony where we literally took everything off and swept the balcony. Miss F and I were hoping to mop it and shake and wash the rug but the baby woke up and Mr. Z was creating a havoc inside the apartment so this will have to wait another day. Also it will have to happen at night because my neighbors who live two floors down complain about flooding or spilled water. 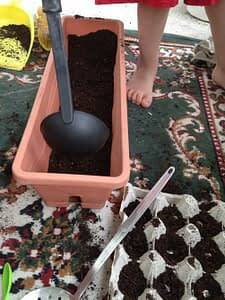 As I said earlier, we finally got around to planting our seeds about two weeks ago. 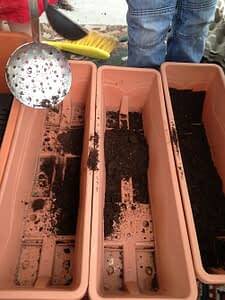 We used the pots that we have plus used egg cartons for an easier time when replanting. 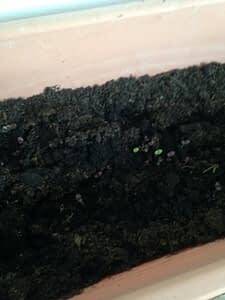 We planted purple basil (reyhan), parsley (persil), sunflower seeds, cherry tomatoes and sweet baby cherry tomatoes with maybe a few plants of sheep’s grass or mache included. 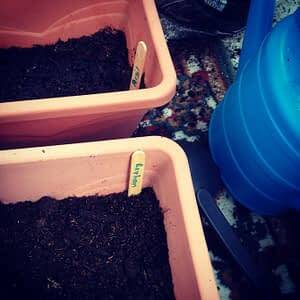 Miss F opened up the pack of seeds and started pouring them around before I noticed that she had done so. So I am not quite sure which are the tomato plants and which are the sheep’s grass until they get a little bigger. 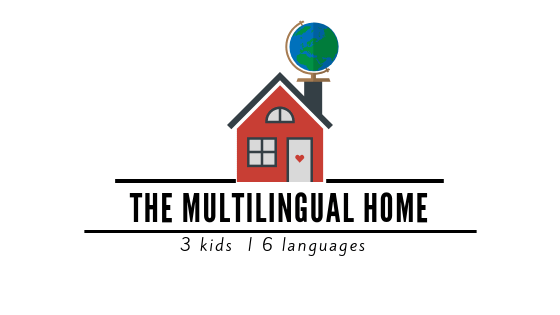 But if you can figure it out let us know! 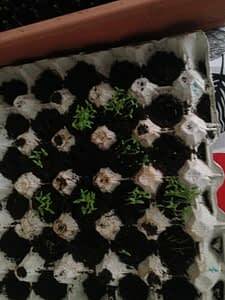 Since all of the seed packaging said to keep them inside until they sprout to a certain height, I decided to keep them inside our homeschool room till they are ready to be transplanted. Plus, the weather had been really nice for the past two weeks and rather warm, and I didn’t want them to die right off the bat. 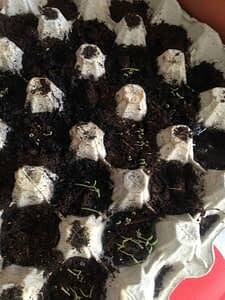 The tomatoes and purple basil were the first to sprout. It has taken the parsley and sunflower seeds a much longer time. Out of the 30 sunflower seeds we planted, only one seems to be growing for now. 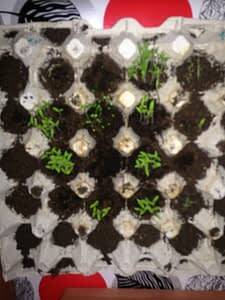 The parsley is taking it’s time in the egg cartons but is gaining speed in the pot. We were going to transplant them this week but it ended up being stormy and a little on the chilly side with some rather strong winds, so they’ll have to wait till next week. 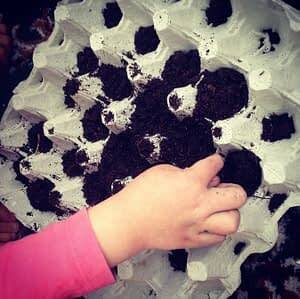 What seeds have you planted this year ?